Your customers rely on their mobile phones more and more each day, as they have become a primary source of communication, entertainment, and utility for their everyday lives. What better place to reach them with your marketing message? 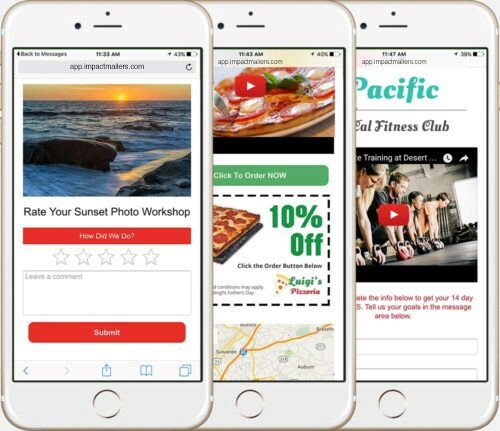 With our text to mobile marketing system, you can reach your best prospects right where they “live” – on their mobile phones – and establish a convenient platform for remarketing all at the same time. And best of all? It perfectly complements a direct mail program, providing a synergistic effect to both media and increasing your ROI. Start by using your direct mail piece to reach them outside of their digital world – where you have their full attention. 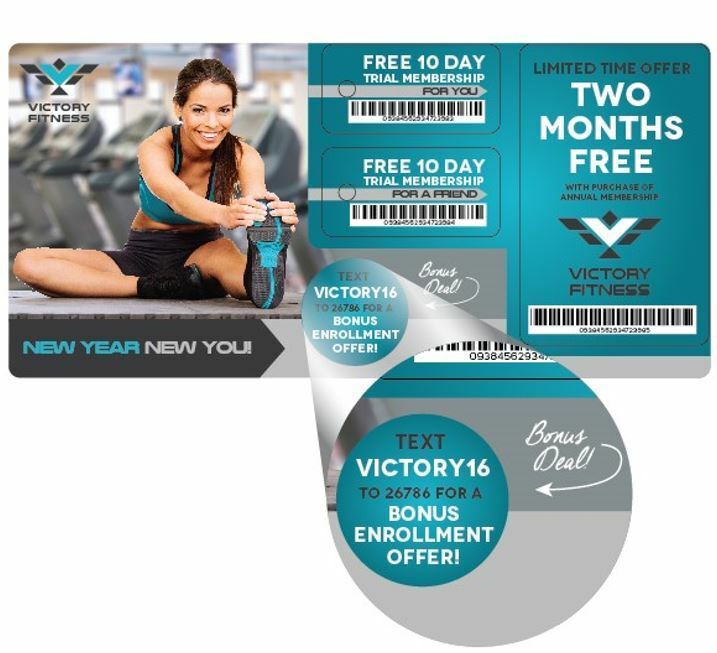 Promote an extra bonus offer or incentive, available only through texting a keyword. Consumers immediately receive a text thanking them for their interest with a link to a mobile landing page. This page contains the same photos and logos that they may have already seen on your direct mail piece, web site, etc. You can even post a video! With the input of their name, email address, mobile number, etc. they gain access to your extra bonus offer and you now have a database of their contact information to use for email or text remarketing. Everything is customizable, from the keywords to the data you choose to collect. A single easy-to-use dashboard makes tracking and analyzing the results of your campaign a snap. Instantly get a bird’s eye view of your audience and their preferences. Seamlessly track statistics such as opens, clicks, leads, feedback, click-to-call actions and more.